Toronto’s real estate board recently released data giving a glimpse of how the city’s housing market is performing in the early fall, typically a busier time of the year for the industry. But this fall is anything but typical. It is the first autumn since Ontario introduced the Fair Housing Plan, buyers are now facing higher mortgage rates following two Bank of Canada overnight rate hikes, and the central bank may not be done there. In this uncharted territory, here’s what experts are saying about the real estate market, and the September numbers from the Toronto Real Estate Board (TREB). Around the midway point of last month, at least some realtors had been caught off guard. There hadn’t been the widely expected surge in new listings after a quiet late summer. That surge still has not materialized, and BMO Senior Economist Robert Kavcic suggests why. “I think, for one, a lot of people are probably looking at — especially in the detached market — prices that are 10 per cent off from where they were a couple months ago, right? So in some cases, they may want to just be holding back and waiting for prices to come back up,” he says, noting he observed the same thing happening in Vancouver when that market was cooling. However, Diana Petramala, senior researcher at Ryerson University’s Centre for Urban Research and Land Development, adds more homes are on the market this fall than last. “Note that while new listings have returned to normal levels, active listings are still up 70% year-over-year,” says Petramala. 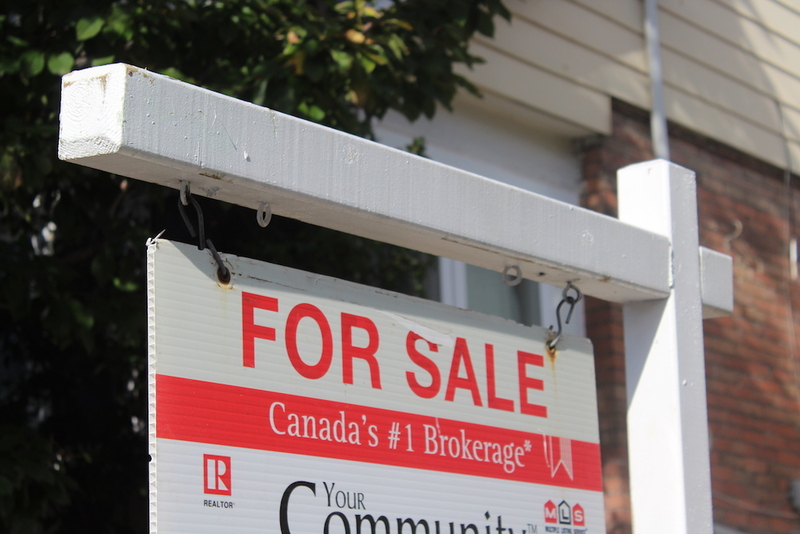 Listings may not have spiked, but sales activity was down 35 per cent in September from a year prior. Part of the reason the market hasn’t heated up again is because interest rates, while still historically low, have begun to rise on the shoulders of back-to-back overnight rate hikes from the Bank of Canada. “On top of the [Fair Housing Plan] measures, we had the Bank of Canada raise rates for the second time, so psychology is still getting returned back to a more normal environment,” says Kavcic. In addition to the Fair Housing Plan and central bank moves, Petramala says eroded housing affordability is cooling Toronto’s market. “The average sales price has come down by almost $100,000 since the market peaked earlier this year… but affordability is still the most unfavourable it’s been in over a decade,” she says. A notorious Canadian housing bear previously issued a dire prediction about the countrywide impact an Office of the Superintendent of Financial Institutions (OSFI) decision could have on the housing market. OSFI, an independent government watchdog and regulator, is considering expanding stress testing to all uninsured mortgage applications. But while the bearish Garth Turner said the move could take up to 20 per cent of current potential homebuyers out of the market, Kavcic responds more generally. “It probably ends up having a bigger impact than some of the smaller changes we’ve seen in the past,” he says. Realosophy’s Pasalis expects the Toronto market to continue on its current soft-sellers-market path — unless OSFI steps in. “If that happens, I mean, it’s anyone’s guess,” he says.